Restyle Junkie revitalized this kitchen upcycle with Milk Paint! They explain, "We created a much brighter and lighter look for this gorgeous home in North Scottsdale. 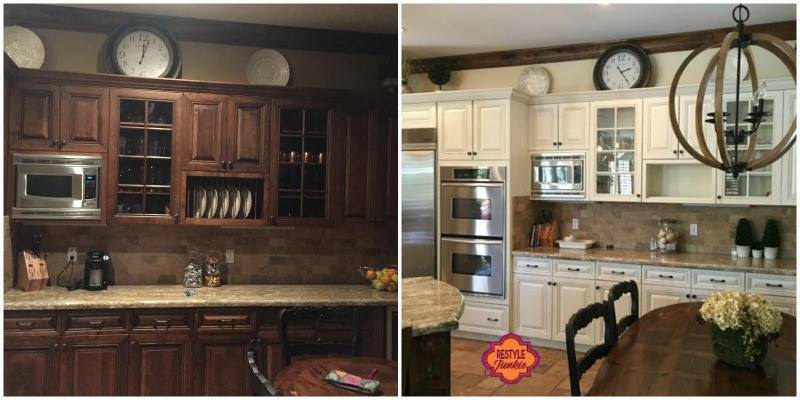 We transformed this kitchen by painting with Antique White, slightly distressing the edges and sealing with High Performance Top Coat in flat for durability."